The warehouse fans manufactured by Jan Fan help control climates in warehouses and distribution centers making work more comfortable for employees. Our warehouse fans are used in industrial and commercial facilities, generating benefits that could potentially save thousands, perhaps even millions of dollars over time. Many warehouses and distribution centers contain merchandise which may be sensitive to changes in climate and weather. Electronics require storage in an environment in which humidity is closely monitored. High levels of humidity can cause moisture to seep into and damage electrical components. Pharmaceuticals are also extremely sensitive to their environment while in storage. Most pharmaceuticals must be stored within a strict temperature range and with a closely controlled level of humidity. Even slight changes in either of these climate settings can dramatically affect the chemical balance of medicines. The food industry has its own set of difficulties, especially when storing perishable food items. Even dry goods can be affected by changes in heat, humidity, and freezing temperatures. Warehouses are enormous spaces in which to attempt to control the climate, yet our powerful and quiet industrial warehouse fans easily do the job. No matter how much expense has gone into the climate control system of a warehouse, spikes in heat and humidity, or sudden drops in temperature with the possibility of freezing can undermine any heating or cooling system. Heat can escape quickly in cold weather or escalate quickly in hot weather. The same applies to instances of high humidity or rapidly dropping temperatures. Our industrial fans are designed and engineered to help control interior temperatures and keep moisture from setting by moving large volumes of air with ease. While very powerful, Jan Fan manufactures the lowest wattage (240 wattts) warehouse fans on the market. Our high quality energy efficient ball bearing motors are manufactured to reduce your operating costs in several ways which include lower monthly electrical bills. The increased reliability and Jan Fan’s 5 year manufacturer’s warranty also provide savings in reduced downtime, replacement and maintenance costs. Jan Fan has also gone a step further in creating the most energy efficient industrial air circulators. We have also developed NEW Energy Saving Technology that actually turns fans off when not in use. 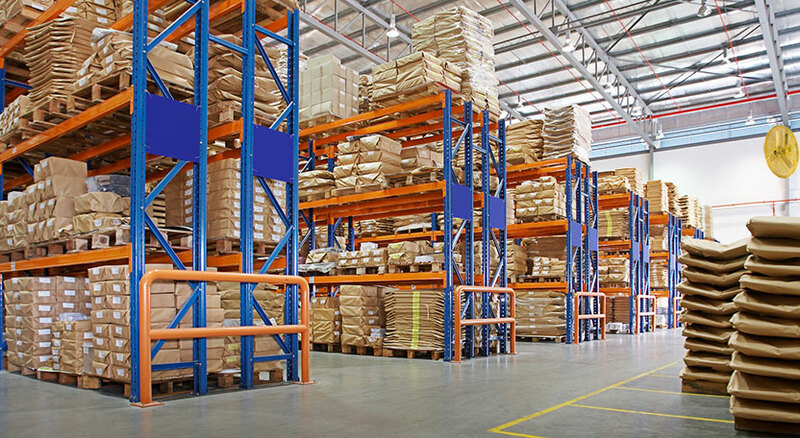 In addition to keeping merchandise stored under optimal conditions, the use of industrial fans to aid climate control also help to make warehouse workers more comfortable. Incidences of heat stroke, frost bite, and respiratory issues caused by airborne allergens and high humidity drop dramatically. When workers are clear-headed and healthy, accidents decrease. Preventing accidents isn’t just about protecting the workers, but also protect the merchandise from incidents of operator error and mishandling.